GRIP YOUR GEAR with LAZY-HANDS Thumbs-free grips for your Surface and other similar-sized tablets. You can even put LAZY-HANDS on the cover or case for your tablet. Grip it so you don't drop it! 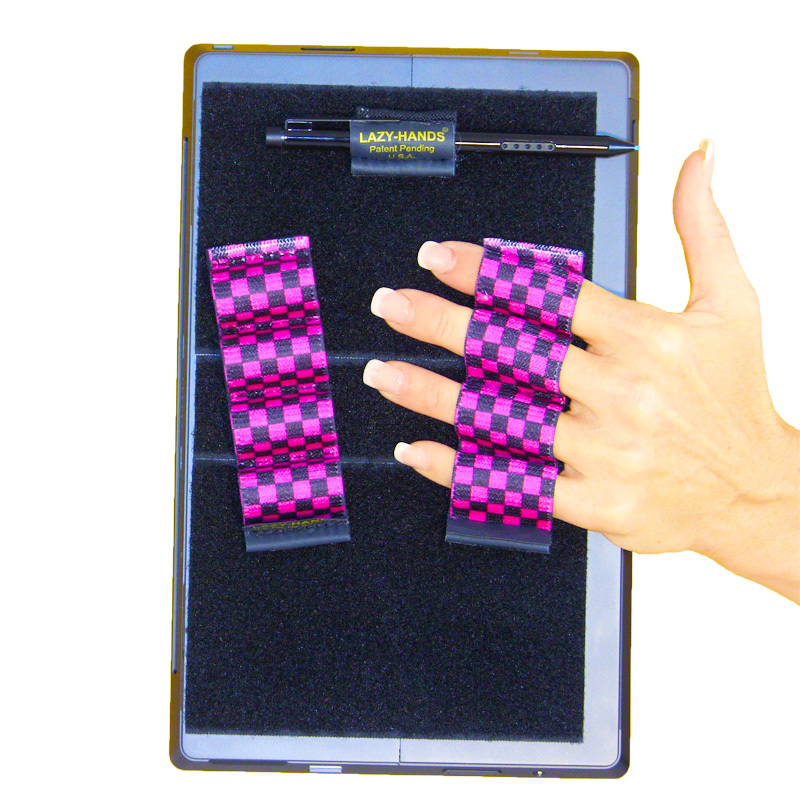 LAZY-HANDS Thumbs-free grips for Microsoft Surface and large tablets. 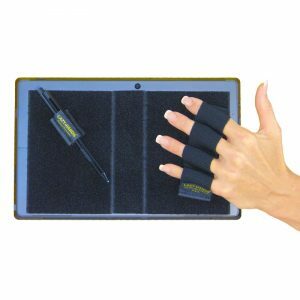 Includes 2 thumbs-free grips, 1 stylus grip and 3 adhesive-backed loop sheets.